Official Visit to the Island of El Hierro. January 2012, Canary Islands. On January 30 Doña Letizia and Don Felipe visited the Canary Island of El Hierro and met with the people and experts who explained them the situation of the island after the submarine eruptions. 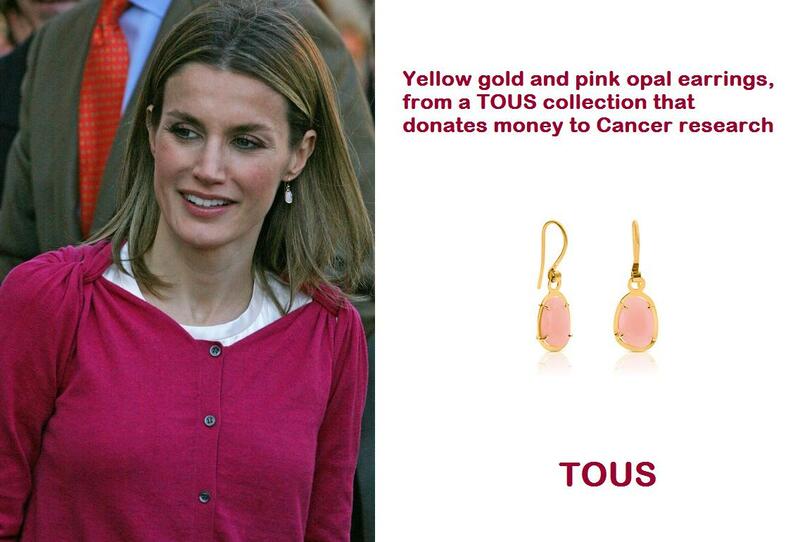 Doña Letizia wore pink opal earrings from Tous. The Princess, who is the honorary president of the Spanish Association Against Cancer also supports the fight against cancer in her personal life, attending last year a charity concert of cancer survivor Luz Casal or buying these earrings. « Dinner for the President and the First Lady of Peru. January 2012, Madrid.